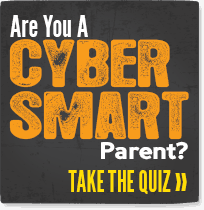 Take the Cyber Smart Parent quiz to begin with and see how you rate. Are you a whiz or do you need some work? The Boys & Girls Club has offered up a lot of great resources in conjunction with kids just like yours to show you how to keep them safe online. Talk to your kids. The first big step in protecting them is educating them and letting them know your expectations of them and the dangers that lurk online. Set guidelines for your kids to follow and make sure you follow through on them. Monitor the phone records, check your child’s phone and limit nighttime access. Talk to your kids about Cyberbullying and make sure they aren’t the victim or the bully. It can be easy for them to get caught up in something online and be afraid to tell you. Be “friends” with your children on social media. You want to see what they are posting so make sure you are always a friend of theirs on their social networks. If they block you then you need to shut down their social media access. Unsure about the online lingo? Use the Cybersafe glossery to look up unfamiliar terms so you and your child are on the same page. Have a question you can’t find an answer to? Ask the cybertribe and teens will answer! Everyone who submits a question is entered for a chance to win an iPad mini and $500 to the Boys & Girls Club of your choice too! 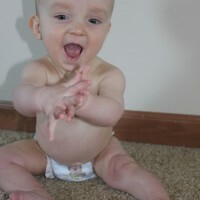 The biggest tip here is to educate yourself and keep the lines of communication between you and your child open. 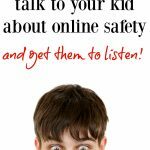 Encourage your child to come to you with problems and don’t make them feel afraid to tell you if something is happening online that they are uncomfortable with. If kids know what is expected of them online then it makes it a lot easier for them to follow the guidelines. 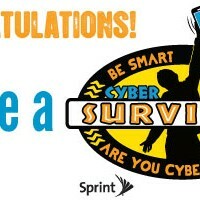 Are You CyberSafe? Do You Know What Your Kids Are Doing Online? « Caterpillar Fruit Kabobs Kids Party Food Idea! I see other parents that don’t have a clue about the internet and they let their kids go online. It’s such a dumb move. You have to know what your kids are doing and if you have no idea how Facebook works then good luck monitoring your kids on it.